You will need a die cutting machine to use these dies but there is one thing for sure ... die cutting is here to stay. 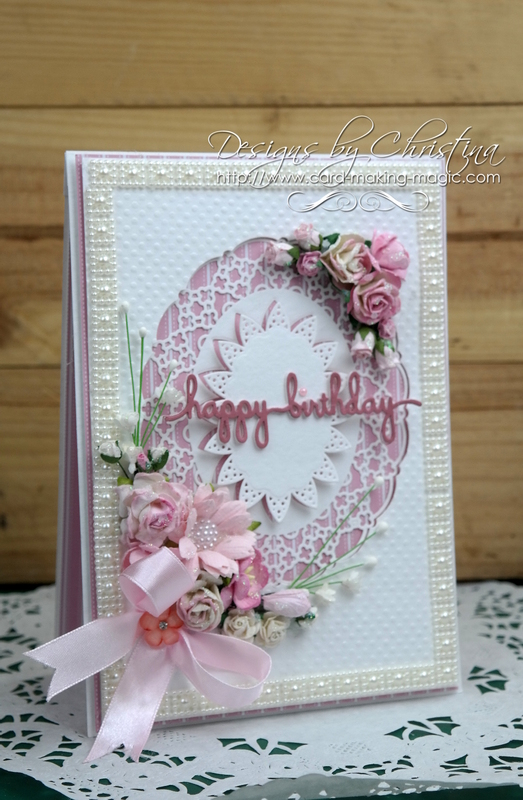 For my cards I have arranged the flowers differently and used various types and sizes for the display. And look out for new dies as they come onto the market. 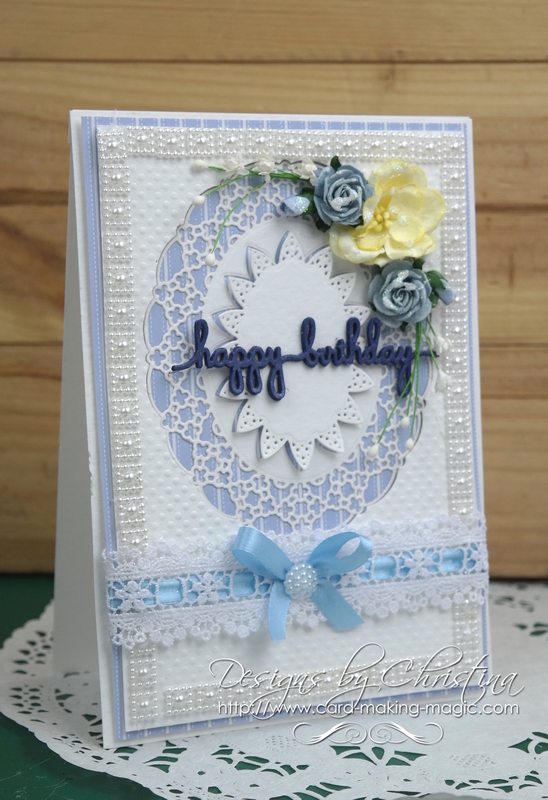 You are sure to see some that really catch your eye and that you kn ow will make the most stunning cards for you without the hard work. Just run it through your die cutting machine and away you go. Spellbinders will work with most leading machines and they will go through those with the smaller A5 cutting area.